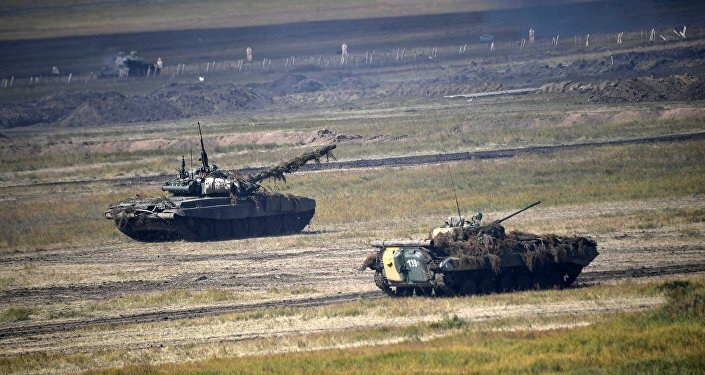 MOSCOW (Sputnik) – Large-scale joint military exercises of Russia and China can become regular, Chairman of the Federation Council's Defense and Security Committee Viktor Bondarev told Sputnik on Tuesday. "Countries that are militarily weaker and states that are equal, such as China, are seeking an alliance with us. I believe that joint exercises on such a colossal scale as this year will become a good tradition," Bondarev said. The Vostok-2018 military drills, conducted on September 11-15, were the largest exercises held in Russia since the dissolution of the Soviet Union. The maneuvers involved nearly 300,000 servicemen, 36,000 vehicles, up to 80 ships and support vessels, and over 1,000 aircraft. The drills have gained an international status, with troops from China and Mongolia taking part in one of the stages this year.